Directed by Christophe Gans (Silent Hill, The Brotherhood of the Wolf), BEAUTY AND THE BEAST (LA BELLE ET LA BÊTE) stars Vincent Cassel (Black Swan) and Léa Seydoux (Spectre, Blue Is the Warmest Color) with André Dussollier (A Very Long Engagement, Amélie). 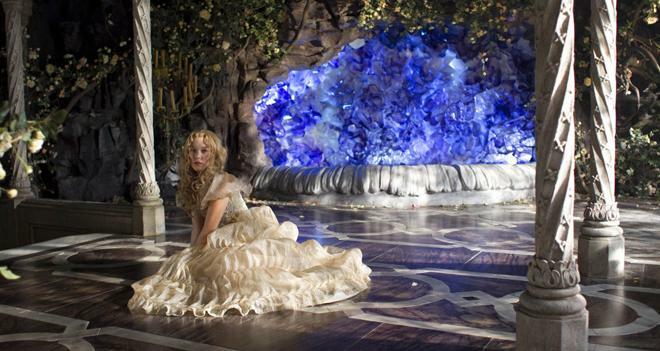 This visually opulent major motion picture is a modern take on classic French fairytale. 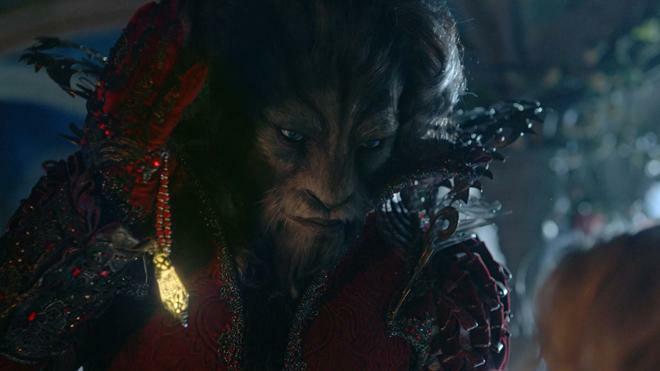 Filmed with state-of-the-art technology and under the imaginative vision of Christophe Gans, BEAUTY AND THE BEAST (LA BELLE ET LA BÊTE) delivers a lush and vibrant cinematic adventure. Fairy tales are no strangers to the silver screen, and when it comes to classic stories like 'Beauty and the Beast,' it seems like we'll never be in short supply of a new adaptation. But with so many versions of the same core narrative flooding the medium, each new take has to offer a little something special of its own if it wants to stand out. French director Christophe Gans' latest interpretation attempts to do just that. Sadly, the plot embellishments and visual spectacle on display only serve to mask an occasionally shallow and clunky script, resulting in a case where beauty truly is only skin deep… and there's not much underneath. Based on the timeless fairy tale, the story follows a kind and beautiful woman, Belle (Léa Seydoux), who is forced to move with her family to a small farmhouse in the countryside when her merchant father goes bankrupt. 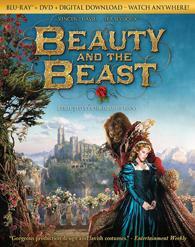 After becoming lost in the forest, Belle's father stumbles upon an extravagant castle ruled by a ferocious beast. The Beast (Vincent Cassel) vows to kill the man, but Belle selflessly takes his place, agreeing to stay with The Beast as his prisoner. As the two get to know one another, Belle gradually learns of her jailor's tragic past and slowly warms up to him. But when enemies discover The Beast's castle full of riches, the couple's blossoming romance is put in jeopardy. In the included special features, the cast and director discuss their desire to place the narrative's focus squarely on Belle, cementing her as the story's clear protagonist. And while that tactic actually sounds like a great idea, this noble intention goes unfulfilled. Instead, much of the initial setup puts too much emphasis on Belle's father, and even when Belle does become a prominent factor, her arc is disappointingly thin. The character ultimately gets a lot of screen time, but too much of that time is dedicated to her witnessing flashbacks of the Beast's history. And even worse, that history happens to involve a completely different love interest. In essence, most of Belle's journey simply involves her learning about someone else's story… which doesn't leave much room to flesh out her own desires and choices. With that said, The Beast's backstory is relatively engaging, but some of the script's embellishments of the original fairy tale feel unnecessary, overly complicated, and a little odd -- adding in extra mythology involving wood nymphs and forest gods (to my knowledge not part of the source material). Likewise, the traditional invisible or enchanted servants are replaced by giant statues and magical CG dog creatures. Really fake looking magical CG dog creatures. On that note, effects work is a bit of a mixed bag. Shot almost entirely with green screen and computer generated sets, the visuals can be genuinely breathtaking, resulting in a colorful, painterly world of ornate fantasy enhanced by impressive costumes and production designs. At the same time, however, the imagery can also appear too artificial, with a few CG elements that stick out like a sore thumb. At its heart, though, this adaptation still does a solid job of conveying the spirit of the original tale -- it just can't compare to better cinematic takes like Jean Cocteau's 1946 classic or Disney's celebrated animated version. Outside of a few clunky bits, the surface elements and visuals are quite effective, but the film could use a little more inner depth. Shout! Factory presents 'Beauty and the Beast' on a BD-50 Blu-ray disc that comes housed in a keepcase with a cardboard slipcover. A DVD and instructions for a digital copy are included as well. After some logos and warnings, the disc transitions straight to a standard menu. The movie is provided with a 1080p/AVC MPEG-4 transfer in the 2.35:1 aspect ratio. Though the image starts out as unexpectedly drab, the picture gets progressively more colorful and impressive as the runtime goes on. Shot on a combination of digital and film cameras (according to IMDB), the source is pristine with no notable artifacts. The first act carries a slightly soft, cold, and faded look, adhering to more a murky appearance with dim contrast. Thankfully, once Belle enters The Beasts' fantastical world, clarity ramps up thanks to a several brighter and more saturated scenes, highlighting the fine textures in all of the ornate costumes and little details in the CG sets and production designs. Colors pop nicely in these instances, especially Belle's rich blue, green, and red dresses. With that said, black levels are never quite as inky as I would like, often presenting a dark grey appearance. Early scenes prove to be a bit underwhelming with a surprisingly dark and muddy style, but the transfer does a nice job of realizing the movie's more spectacular imagery as the story develops. The film is presented with separate French and English (dubbed) DTS-HD MA 5.1 and 2.0 tracks. Unfortunately, the only subtitle option is English SDH (deaf and hearing impaired), which proves to be a minor annoyance since sound effects are denoted along with speech. A standard English subtitle track would have been a welcomed inclusion. Thankfully, the French surround sound mix is rather enveloping, bringing The Beast's enchanted castle to life with engaging design work. Dialogue is clear and well prioritized, offering ample weight to every growl and whisper. Atmospherics are immersive, spreading birds, buzzing flies, distant bells, blowing wind, crashing waves, bellowing thunder, and other appropriate ambience around the room with smooth imaging and directionality. Surround use is also well implemented, bringing key effects to the rears, including echoey voices that naturally expand to the back speakers as the sound reverberates throughout the large castle. The scurrying dog creatures also make their way around the room as they shuffle about. LFE perks up nicely during the climax as well, bringing some solid kick to the action as giant statues come to The Beast's defense. The movie's lovely score also carries nice range, fidelity, and separation. Spacious and immersive, 'Beauty and the Beast' comes to Blu-ray with a strong 5.1 audio mix in both the original French and dubbed English. Shout! Factory has provided a decent collection of supplements, including interviews with the cast and director. All of the extras are presented in 1080p with DTS-HD MA 2.0 sound and English subtitles. Interview with Director Christophe Gans (HD, 20 min) – The director talks about the movie's all ages appeal, fairytale source material, themes, symbolism, casting, and green screen work, rounding out a solid discussion. Interview with Vincent Cassel (HD, 15 min) – The actor discusses how familiar he was with story, his "digital mask," and the movie's green screen sets. Interview with Lea Seydoux (HD, 9 min) – The actress elaborates on how she was cast, her love for fairy tales, the film's costumes, and special effects. Theatrical Trailer (HD, 2 min) – The movie's trailer is included with dubbed English DTS-HD MA 5.1 audio. Christophe Gans' 'Beauty and The Beast' is a solid yet occasionally underwhelming adaptation of the timeless fairy tale. The visuals are mostly impressive, but the storytelling can be a bit shallow and clunky. On the technical front, the Blu-ray features a good video transfer and audio mix, preserving the film's spectacle. Though not loaded with supplements, we do get a few interviews with the cast and crew. This latest take on the classic story isn't likely to become anyone's new favorite, but this disc is still worth a look.